Smoke and solid white coloured vinyl variations SOLD OUT. Orders taken from this point forward will contain the black vinyl. 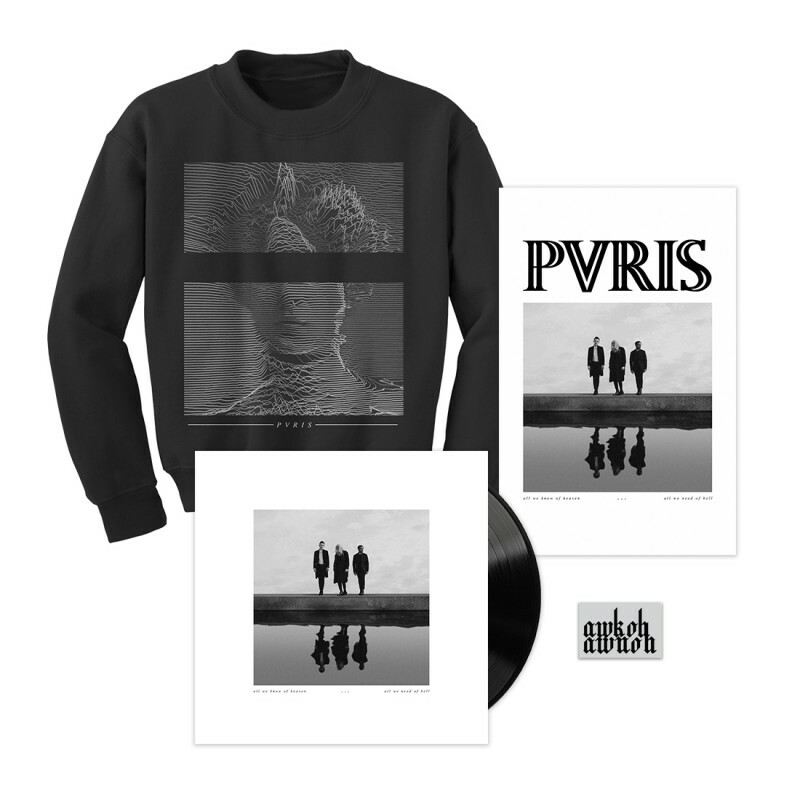 This PVRIS ‘all we know of heaven, all we need of hell’ bundle features the vinyl version of the album. Included with your bundle is the Victorian Glitch Crewneck, an enamel pin with the initials of the album title and an 11x17 poster.